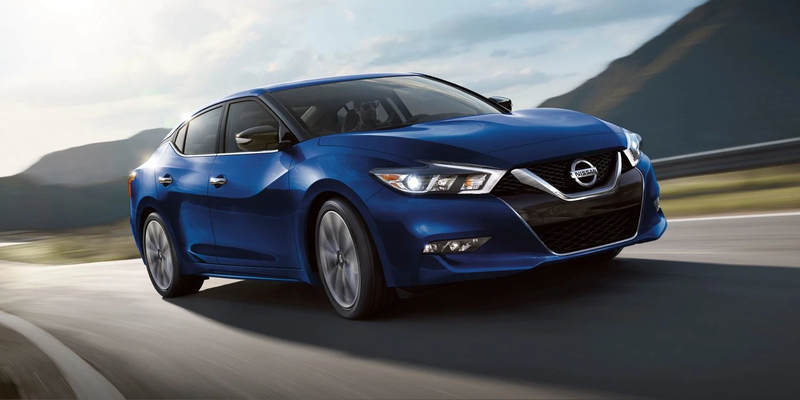 Nissan has two incredible sports sedans in the 2018 Maxima and the all-new 2019 Nissan Altima. On paper, these sedans look similar, but a deep dive exposes their key differences. 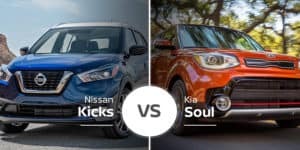 Here’s what our Bradenton, Florida Nissan shoppers need to look for to know which is the better for them. 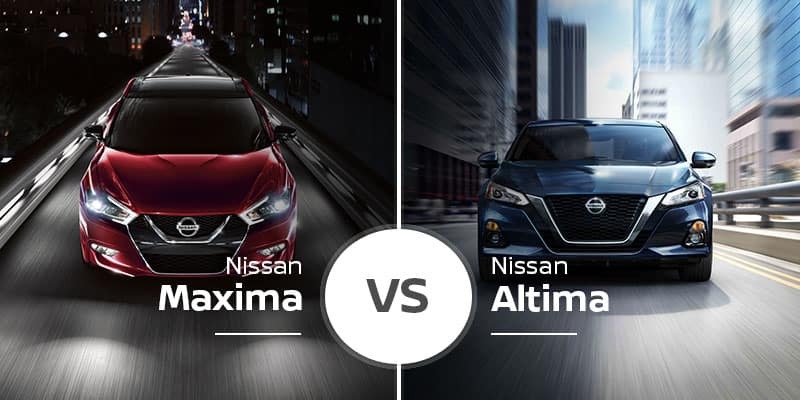 Though the 2019 Nissan Altima sits well below the Maxima in Nissan’s lineup, they are almost identical in size. The Altima is 192.9 inches long, 72.9 inches wide, and 56.8 to 57.4 inches tall. The 2018 Nissan Maxima is 0.1 inches shorter in length, 0.3 inches wider, and 0.3 to 0.9 inches shorter in height. The biggest difference between these two midsize Nissan sedans is wheelbase length as the Altima’s 111.2-inch platform is 1.9 inches longer than the Maxima’s. Despite being close in size, styling is a different game. The 2019 Altima and 2018 Maxima are both sporty looking for their class, but the Maxima’s look is more dramatic than the Altima’s. 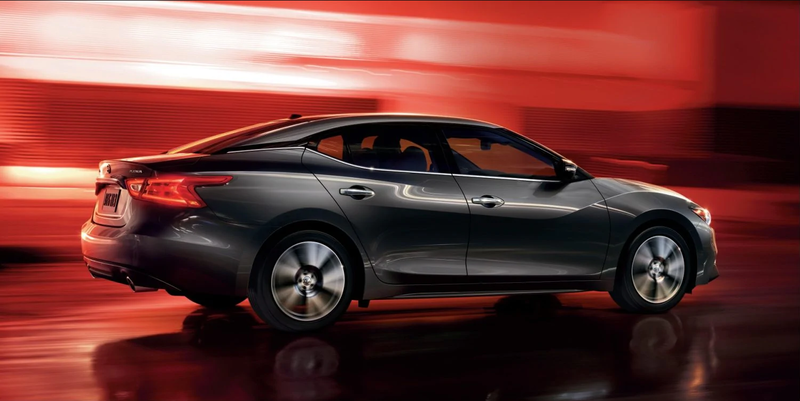 The Maxima boasts more swoops than the Altima, giving it a more premium look as you approach it. The Altima, on the other hand has a flatter hood that appears longer than the Maxima’s, and its trunk is equally smooth relative to the Maxima’s. The final difference is the Altima’s V-Motion grille is larger and sits lower on the front end, enhancing its sporty looks. Inside, the 2019 Nissan Altima and the 2018 Nissan Maxima share a lot in terms of design. They both feature flat-bottom steering wheels, roomy consoles, and upscale trimming, but there are some small differences, especially on the dashboard. The Altima’s dash has a flatter top and its infotainment screen floats on the dash instead of being in the center stack like in the Maxima. Finally, the Altima’s steering wheel has thinner posts and a circular center section, which translate to a sportier look. Like the exterior, the Altima and Maxima are similarly sized on the inside. Up front, the 2019 Nissan Altima has 39.2 inches of headroom, 43.8 inches of legroom, and 58.2 inches of shoulder room. The 2018 Maxima beats the Altima in headroom by 0.2 inches and legroom by 1.2 inches, but it is 1.5-inches tighter on shoulder room. 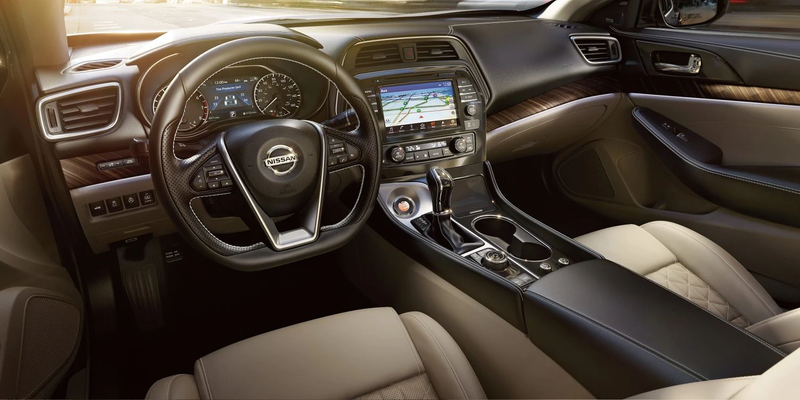 In the rear seats, the 2019 Altima checks in with 36.9 inches of headroom, 35.2 inches of legroom, and 57.1 inches of shoulder room. The Maxima’s rear seat is smaller in every dimension: 0.2 inches in headroom, 1 inch in legroom, and 1.4 inches in shoulder room. In the midsize sedan segment, trunk space is a huge deal, and the Altima is superior as its 15.4-cubic-foot trunk bests the Maxima by 1.1 cubes. Under the hood, these sedans put a lot of distance between each other as the Altima has two flavors of four-cylinder engines while the Maxima goes the six-pot route. The 2019 Nissan Altima comes standard with a 2.5-liter four-cylinder engine that produces 188 horsepower and 180 pound-feet of torque. Buyers looking for a bit more pep will appreciate the optional 2.0-liter turbocharged four-cylinder engine that churns out 248 horsepower and 280 pound-feet of torque. Both engines pair to a continuously variable transmission that ships power to the front wheels as standard. Buyers can also add all-wheel drive to the 2.5-liter powertrain. While there are no independent tests on the 2019 Altima with the 2.5-liter engine, the 2018 model hit 60 mph in eight seconds. Since the 2.0-liter engine is all-new for 2019, there are no acceleration tests yet, but we should have details soon. The 2018 Nissan Maxima takes a more old-school route to power delivery with a standard 3.5-liter V-6 that cranks out 300 horsepower and 261 pound-feet of torque. Like the Altima, it uses a CVT to ship this power to the front wheels, but it lacks the optional all-wheel drive. This big V-6 engine launches the Maxima to 60 mph in just 5.9 seconds. For a midsize sedan with a big V-6 heart, the 2018 Nissan Maxima’s fuel economy is OK at 21 mpg city, 30 highway, and 25 combined. Buyers looking for better fuel economy will find their match in the 2019 Altima. The 2.5-liter-equipped Altima with front-wheel drive gets up to 28 mpg city, 39 highway, and 32 combined. Adding all-wheel drive to the mix brings these numbers down to 26 mpg city, 36 highway, and 30 combined. The peppy 2.0-liter engine isn’t a slouch in the fuel-economy department either at 25 mpg city, 34 highway, and 29 combined. The 2019 Nissan Altima has a slew of trim available: S, SR, SR VC-Turbo, SV, SL, Platinum, Platinum VC-Turbo, and Edition One VC-Turbo. Base prices kick off at $23,750 and rise to $35,750. The 2018 Nissan Maxima also has a long list of trim levels — S, SV, SL, SR, SR Midnight Edition, and Platinum — and starting prices range from $33,420 to $41,090. Who Should Buy the 2019 Nissan Altima? 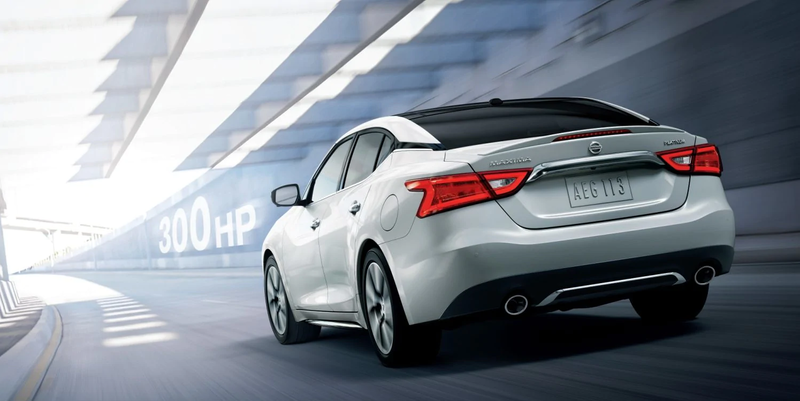 While the 2019 Nissan Altima lacks the top-end power of the Maxima, its four-cylinder engines deliver superior fuel economy. Opting for the turbocharged four-pot delivers a healthy balance between the V-6 power of the Maxima and the fuel-efficient 2.5-liter base Altima engine. Who Should Buy the 2018 Nissan Maxima? Looking for a raw sports sedan with upscale looks at a price that won’t kill your budget? The 2018 Nissan Maxima is the perfect option for you. 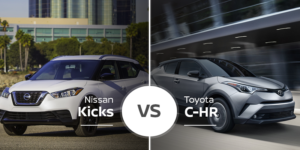 Not sure which of these sporty sedans is right for you? Come down to our new-car dealership serving the Bradenton, Florida area for a test drive. 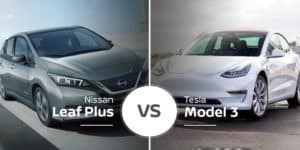 Regardless of the model you choose, you will enjoy your daily commute to St. Petersburg or Sarasota in the 2019 Altima or 2018 Maxima. If you can’t make it to the Nissan of Bradenton showroom, you can check out our online inventory to see if we have a model in stock that suits your needs.